Protein is the foundation of muscle tissue. If one of your training goals is to build more muscle, you may need more protein to see the best results from all your hard work at the gym. Whole foods that are protein-heavy include chicken, eggs, milk, cheese, fish, and beef. But if eating six chicken breasts a day sounds daunting, and you are skeptical about raw-egg milkshakes, you should look into powder protein supplements. The best times to use these are before working out and/or afterwards. Take 20-25 grams to power your best beast routine by topping up protein stores. After you’re done, 20-25 grams of protein will speed repair and growth. If you’re looking to bulk up or doing especially intense workouts, you may even want to have a shake both before and after your workout. Look at how many grams of protein are in a serving. Go for at least 20-25 grams or it’s probably just a waste of your hard-earned cash. Look at what other nutrients are in the powder. Some come with carbs, fats, vitamins etc. and some don’t. This is a personal preference though it may also depend on how balanced the rest of your diet is. But no one really needs a giant dose of sugar. Look for quality nutrients, rather than empty calories. Consider the price range. On average, a 2lb tub of high-quality protein should be around $20-25. If it’s way above that range or way below it, look into why. Pricier isn’t necessarily better and a bargain brand that lacks quality won’t help either. Along those lines, check out who makes it. It’s important to find a reputable supplier and there are plenty out there. And remember: any promises that look too good to be true, probably are. Pick a source. 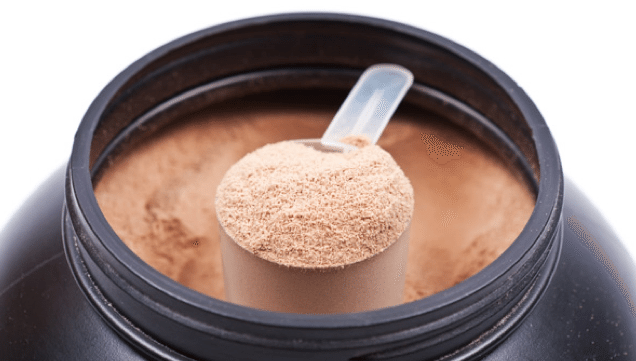 There’s good quality protein powders from a variety of sources, including whey, casein, soy, pea protein, not to mention nuances like whether it’s hydrolyzed, concentrated or isolated proteins. You may need to experiment with what sits in your stomach best. It has to pass the taste test. Particularly if you’re going to be drinking 2-3 shakes a day, you need to be able to down it without holding your nose and thinking of cheeseburgers. Check out single serving sizes of a range of products that fit your needs and budget to find the ones that you’ll actually drink. When in doubt, start simple with a basic powder and if you’re really stymied, consult a trainer or nutritionist to discuss your particular goals and preferences. Keep in mind that it will take time to see results. Give any dietary changes at least a month – stick with it!